Getting prepped for those first days of a new school year is a family affair at the Schaffer house. 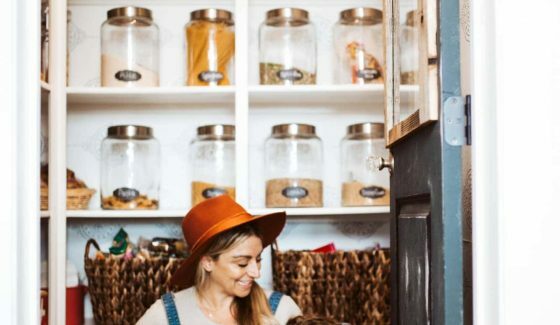 And when it comes to parenting my brood through this phase, I’ve gotta be on my toes and literally think of everything (no pressure, right?). And part of back to school means packing healthy snacks and lunches. 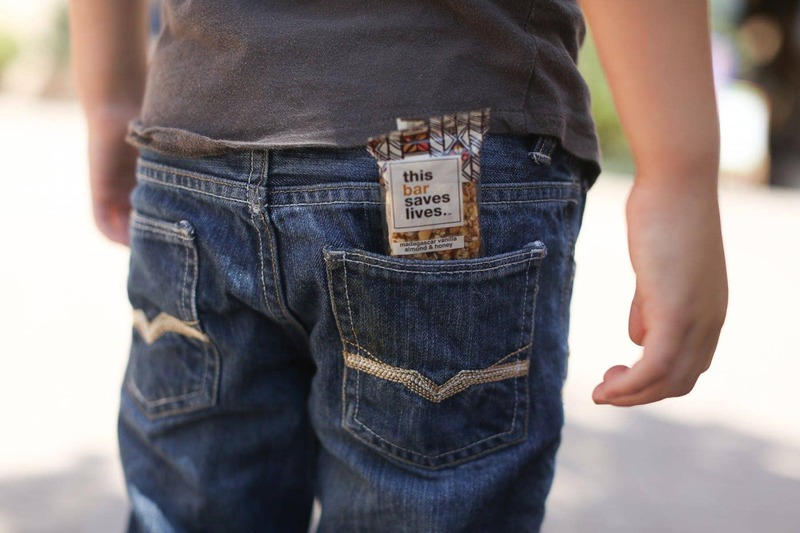 Mornings will without a doubt be hectic, but when it comes to school snacks, there’s one item you can be sure we’ll be packing daily in our kids’ lunch boxes, This Bar Saves Lives! Ladies and gentlemen… let me introduce you to the perfect give-back snack this school year. These Non-GMO, gluten-free, fair trade, bee friendly… and about every other awesome thing you can think of “bars” come in some awesome flavors. 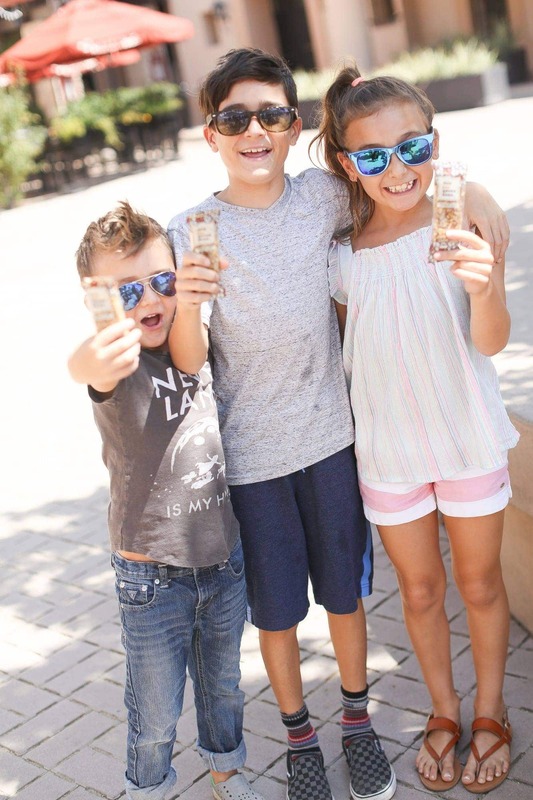 While the kids are loving the dark chocolate, cherry and sea salt flavor… mom is loving the healthy ingredients. The best part? Just like the name says, This Bar Saves Lives! 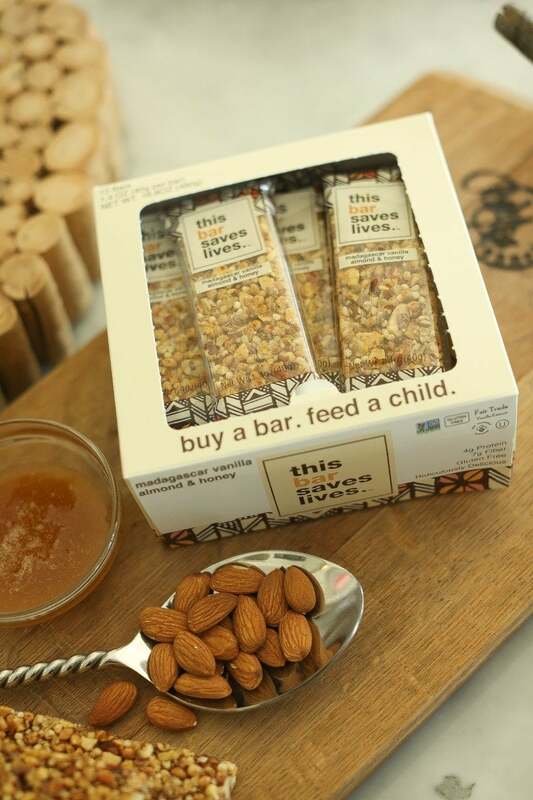 For every bar you buy, you are providing a meal for a malnourished child. 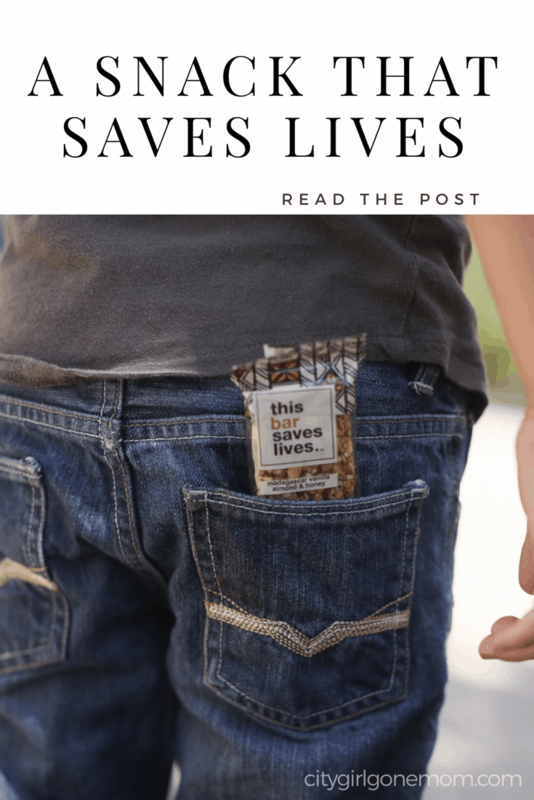 This Bar Saves Lives is making their mark throughout our country and our world. They are currently helping over 1,000 children per month world-wide. 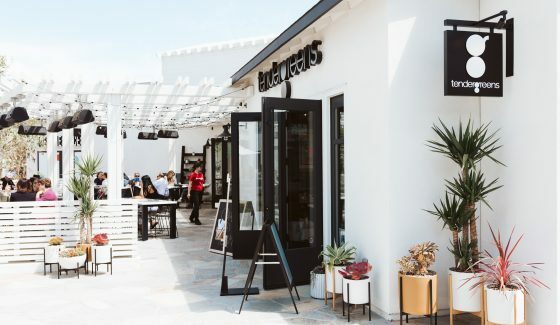 From now until Labor Day, for every bar purchased at select Starbucks and Target locations, This Bar Saves Lives will donate a meal to a child in need. 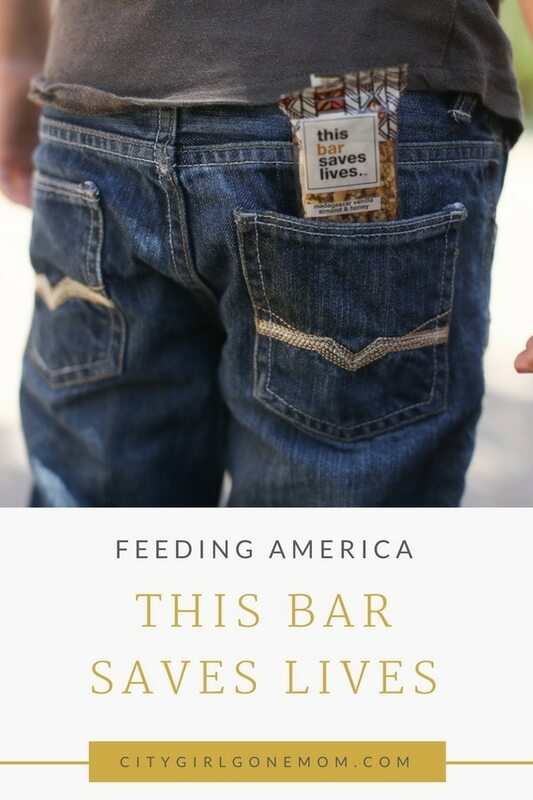 Through their partnership with Feeding America, our nation’s largest domestic hunger-relief organization, This Bar Saves Lives gives back to families in the U.S.
As a mom, I couldn’t be more proud to help raise awareness about child hunger in the US. 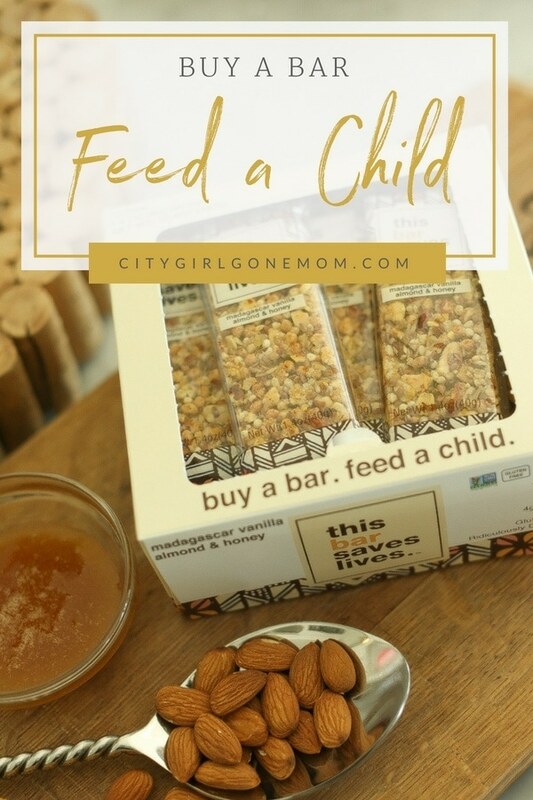 With something as simple as purchasing one bar, you too can help feed a hungry child. Hunger is not only a global problem, but also happens more than you would imagine right here in our beloved country. Did you know that one in six children in the U.S. do not know where their next meal will come from? The problem ultimately worsens during the summer time, when millions of children are left without access to the federally funded food they usually receive in school. Organizations like Feeding America are leading the way to a more food-secure future. I want you to join me this school year and make This Bar Saves Lives, your choice for a snack that gives back! To find a participating retail location, please visit their store locator at thisbarsaveslives.com/apps/store-locator. This Post Is Sponsored With My Brand Partner This Bar Saves Lives! I Was Not Compensated, But Rather Given Products For The Sole Purpose Of This Review! Thank You For Sponsoring CityGirlGoneMom!